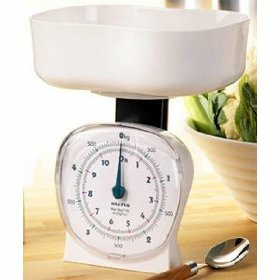 A classically-designed mechanical kitchen scale with a large, removable weighing pan and an easy-to-read dial. 11 lb. capacity with 1 oz. precision.